When M. meets Belle at Dartmouth, they become the unlikeliest best friends. Belle is an unapologetic Romantic famous on campus for her bright red accessories and hundred-watt smile, while M. is a tomboyish Realist who insists she’ll always prefer her signet ring to any diamond. Despite their differences, they are drawn together, and after graduation they both move to New York with all the unfounded confidence of twenty-two. M. secures a job at the city’s most prestigious investment bank, and Belle turns her nostalgic aesthetic into one of the first lifestyle blogs, which quickly goes viral. Their future is spread before them, a glittering tableau of vintage cocktails, password-guarded parties, and high-octane ambition. But as they are pulled deeper into their new lives, and into the charming orbit of their Gatsby-esque new friend, Jeremy, style and substance—and dreams and reality—increasingly blur. In this fake plastic world, what do success and love and happiness even look like? Dazzling, whimsical, and full of yearning, Fake Plastic Love is the transporting story of bright young things tested by the unsentimental realities of post-graduate life. 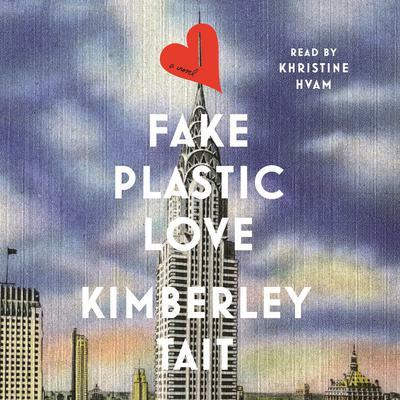 Tipping its hat to F. Scott Fitzgerald, Kimberley Tait’s gorgeous, incisive debut is a portrait of millennial Manhattan—equal parts nostalgia and modernity—that explores the timeless question: You will be a grand total of what you spend your time doing, so what do you want to add up to?